Experience Northern Michigan’s premier steakhouse, Bourbons 72. Offering unforgettable meals and exceptional service! Begin with a bourbon flight and small plate in our cozy lounge area, followed by a mouth-watering meal in our spacious dining room that welcomes you to relax in a tufted leather booth or at an intimate table. Featuring over 72 kinds of bourbon from Michigan, Kentucky and beyond, Bourbons 72 lives up to its name. After wetting your palate, settle in with a pour of your favorite or a handcrafted cocktail. 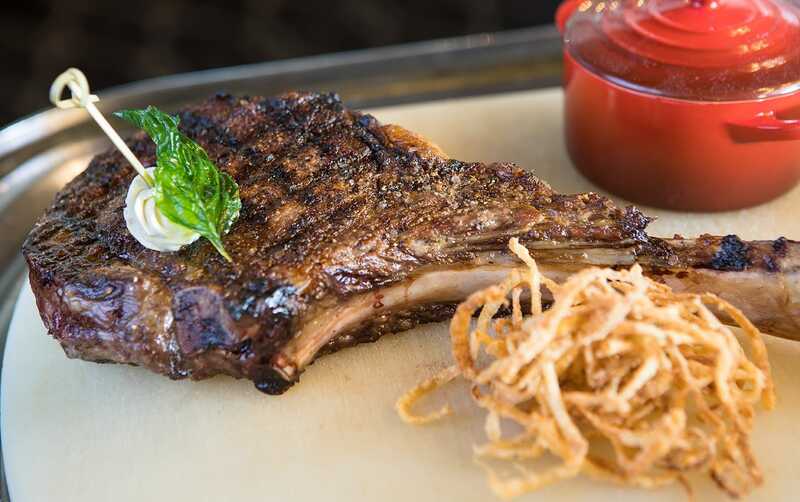 Bourbons 72’s signature slow-roasted prime rib of beef is served nightly along with all prime center-cut steaks, premium seafood, delicious side dishes and, of course, bourbon-infused sauces. All desserts are made in-house and the extensive wine list begs you to indulge in a bottle. Rosemary, garlic, kosher salt and cracked pepper crusted roast beef, au jus, atomic horseradish cream. Cold water tail at one and a quarter pound + snow white, sweet mild flavor, tender velvety meat, butter-lemon basted – drawn butter.